Former WWE star Pac aka Neville is once again a champion. It all went down during the latest Dragon Gate event taking place inside Korakuen Hall on Tuesday. PAC faced-off against Open the Dream Gate champion Masato Yoshino and picked up the win after landing the recently re-christened Black Arrow. 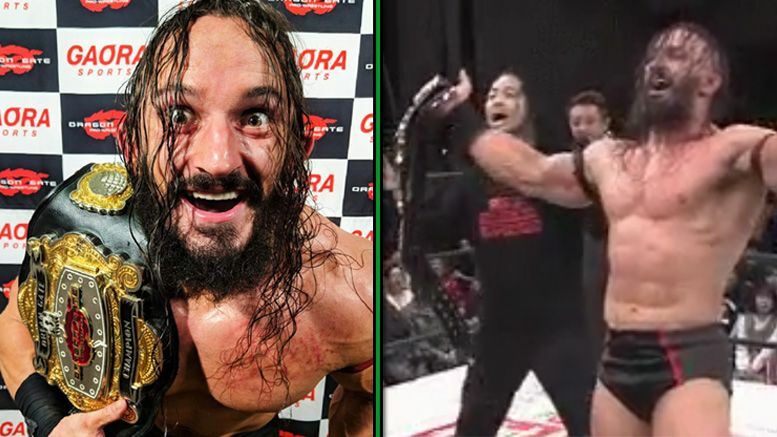 As we previously reported, the ex-Cruiserweight champ returned to Dragon Gate in October. SIDENOTE: Rev Pro in the UK recently announced a dream match between the new Open the Dream Gate champion and Will Ospreay will take place in February … but tickets have already sold out. The full match featuring PAC’s title win can be seen on Dragon Gate’s video service HERE. In the meantime, enjoy some of the GIFS below.